As reported earlier, Saamy 2's shooting would begin by the end of September. 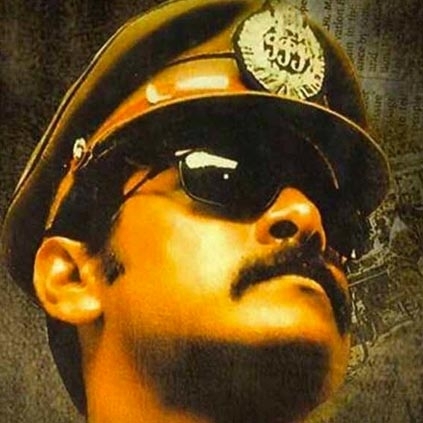 The makers have now revealed the final cast and crew details of Saamy 2. As informed earlier, team Dhruva Natchathiram is busy shooting for the film in Turkey. They have consistently been updating us with photos shot at few exotic locations. Gautham Menon's longtime desire to work with Vikram has finally come true with Dhruva Natchathiram, and the VTV director just couldn't stop praising Chiyaan's work. He shared this text along with two brand new photos of Vikram, "Sometimes it's best to stand back under the shade when a cool and super performance unfolds. Hoping to take you into Dhruv's world soon.Or John's.Or Yohan'sNandri Chiyaan for waltzing through a gruelling sched". If you notice Gautham Menon's tweet, he addresses Vikram's character as Dhruv alias John alias Yohan. Till date, the third character was called as Joshua and not Yohan. It must be noted Yohan is the character that Gautham Menon wrote for Vijay a few years back. Is GVM making Yohan Adhyayam Ondru as Dhruva Natchatiram, or is there a character name change or was it just a mistake? This is something that we will have to wait and see. A film about Vijay Fans. Blessings from an important person! Vikram’s Sketch Has 6 Days Of Patch Work Shoot Left And Will Release After Diwali 2017 Only. People looking for online information on Keerthy Suresh, Trisha Krishnan, Vikram will find this news story useful.